ABT Kindergarten is located just 80 kilometers from Ho Chi Minh City. But despite its proximity to Vietnam’s major metropolis, the school is in a rural town situated off a newly paved country road in Bến Tre province. The small school enrolls less than 100 young children, many at an age where they learn new sets of behaviours that keep them safe. One of the most critical lessons – how to properly wash their hands. Many of us can’t remember the first time we were propped up on a parent’s lap and told to rub our hands together under water. We could hardly remember how we learned the six steps to getting germs off our hands. As adults, washing our hands requires no thought. But it is likely that, in our formative years, our preschool or kindergarten teacher made sure we washed our hands after every bathroom visit or before we ate our lunch until it became habit and we no longer needed to be reminded. We recognize many schools lack the facilities and resources to properly teach children how to wash their hands, a simple yet life-saving skill. 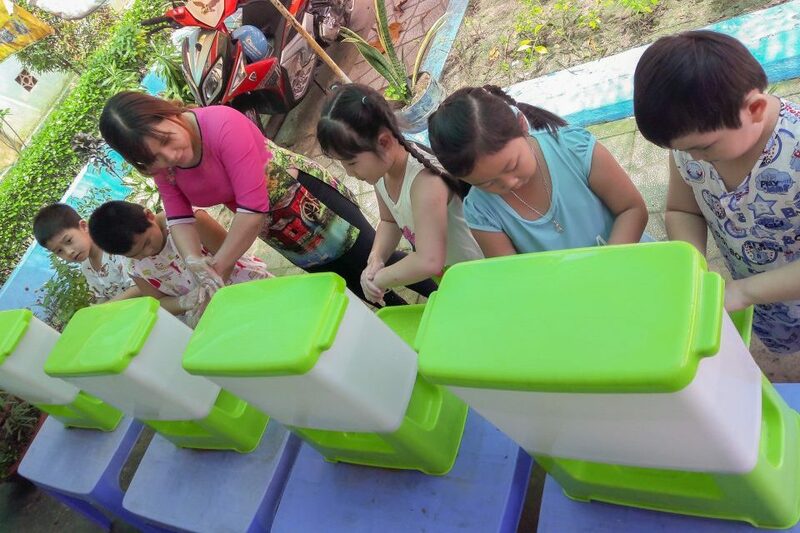 HappyTap Foundation aims to equip 300 in-need schools across rural Vietnam with LaBobo portable sinks. With LaBobo, we want to inject fun into a critical lesson. 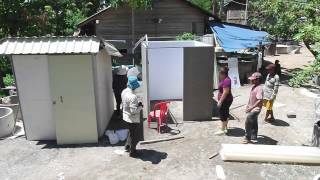 Help us reach our goal by visiting www.happytap.net.